Home � Disney World News , Disney World Vacation Planning , Disney World Vacations , Magic Band , MagicBand , MyDisneyExperience � Disney World Purple MagicBands are now available! Disney World Purple MagicBands are now available! Disney World guests can now add Purple to the list of colors of MagicBands that they can choose to adorn their wrists during their Walt Disney World Resort Vacations! 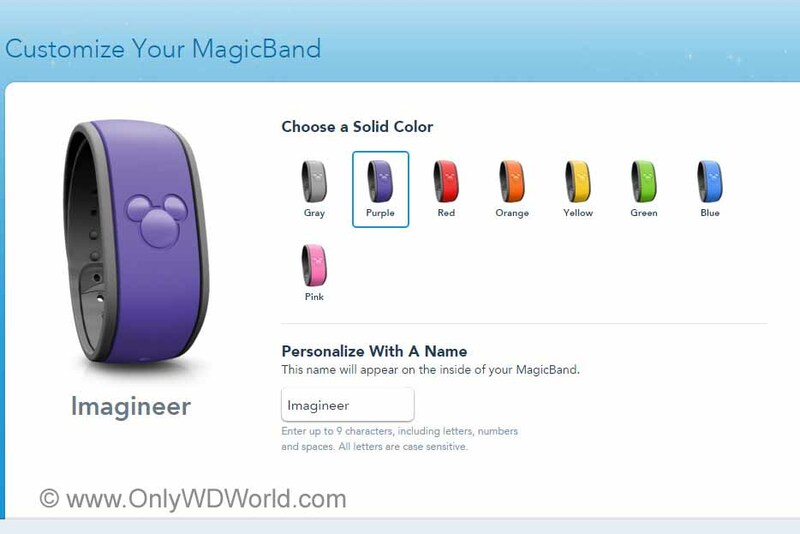 There are now 8 colors in all that you can choose from when you Customize your MagicBand on the MyDisneyExperience.com website to prepare for your upcoming Disney World Vacation that includes a Disney World Resort Hotel stay. Disney World Guests also have the option to personalize their Magic Bands with their name or special tag of up to 9 characters. The MagicBands are much more than just a nice decorative bracelet for guests to wear. They utilize RFID technology that allow the MagicBands to take the place of Resort Room Keys, Theme Park Tickets, FastPass+ tickets, Disney's Magical Express Paperwork, and they can even be set up with Room Charging privileges when combined with a 4 digit pin code that you choose. After some early technological challenges the MagicBands have almost become an indispensable part of your Disney World Vacation. In conjunction with the MyDisneyExperence website and App you can even receive a text telling you when your resort room is ready and what room you have (if you utilize On-Line Check-in). This allows for a stress free, front desk skipping check-in experience that is unlike any other hotel or resort. Now that Purple is added to your list of choices, what color will you be choosing for your next Disney World Vacation? 0 comments to "Disney World Purple MagicBands are now available!"